Spread the word. 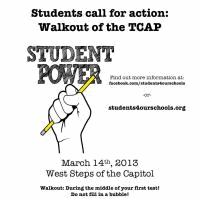 Student Walkout during TCAP on March 14th, here in Denver!!! The student movement in Colorado has begun!!!!!!!!! We are respectfully notifying _________ High School that Grace Engel will not be participating in the Colorado Student Assessment Program, TCAP. We fully trust Grace’s teachers, and their assessment of our daughters educational progress and needs. 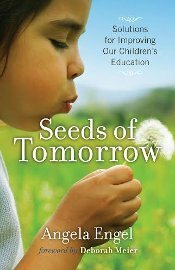 We support a meaningful education, one filled with passion, inquiry, research, discourse, higher-level thinking – all wonderful things that are cultivated by the excellent teachers in Littleton Public Schools – and those very things that High Stakes testing jeopardizes. When it comes to accountability, parents are the first line of defense and it is our job to advocate for our children, a quality education, and meaningful assessments. Grace is prepared to complete alternative work in the library or apprentice in some career opportunities outside of school. We will provide for the alternatives based on your recommendation. PS – Please make this part of Grace’s permanent file. I have received your letter opting Grace out of TCAP testing for the spring of 2013, and have forwarded it to assistant principal. He is the administrator who oversees TCAP testing for us. I respect your decision, but would like to express my disappointment in it as Grace is an outstanding student, and it would be wonderful to have her scores as a reflection of her learning in our school. TCAP is not a reflection of any student’s learning. Scores are more closely correlated to income and reinforce a severely inequitable education and economic system. Grace is quite an extraordinary human being and I am content with her experience at _____ High School. However, I must tell you that part of Grace’s academic success is having ownership over her education. From a young age she has been taught that her learning belongs to her. Any means to accountability that assumes either reward or responsibility for a student’s own success or failure, is flawed. 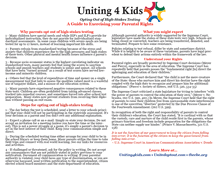 I believe as an administrator you understand the injustice of high stakes testing. My wish is that you, as an education leader, would work to challenge the elements of the system that are so inherently wrong for children and their pursuit of a meaningful education; particularly given ________ High Schools position of esteem and privilege. Thank you for your passion around this topic. I do not disagree with many of your points, and I fully respect your decision.